It goes without saying that style is a matter of taste. It's a series of personal choices that one makes based on everything from the shape of their face, the size of their shoulders, the temperament of their mood, and much more. Every couple years or so, without fail, one of the big fashion mags proclaims the return of the cowboy hat. This year, it was the quintessential style taste-makers at The Vogue with their proclamation: "The Cowboy Hat Is Getting a Modern Revamp for Fashion’s City Slickers." I wore [a cowboy hat] out last night and everyone said, ‘I noticed your hat before I noticed you!’” she says, laughing. “It’s its own piece, its own entity.” – Tasya van Ree, designer. The cowboy hat never goes out of style. It's a staple that's been around for centuries, ingrained in the culture of so many countries, and it will likely not go away any time soon. The cowboy hat dances along that line between function and form. By itself, its western aesthetic can usher you into the spotlight; it gives you the voice to make a statement. You need only make that statement, bold! Enter the new Cardenas Hats Glam Collection! With our new Glam Collection, you can fine-tune your hat to fit a style that speaks to you and about you. These handmade bands can be used to accentuate your Cardenas Hat. 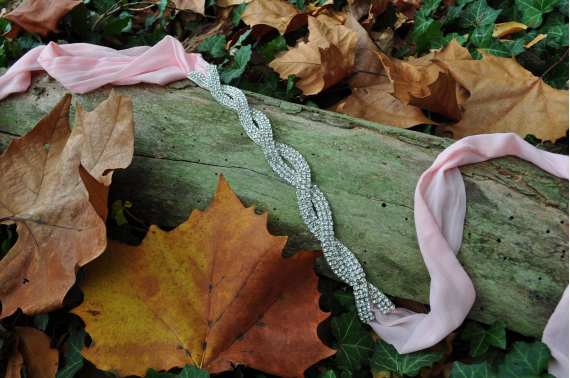 The Josie glam band, for example, is a pink poly-silk blend, intertwined with crystals. The Josie tames the bold flavor of any hat and soften sharp angles. Combine the Josie with the classic look of the Sonora, with its diamond-style crown, and you get a fresh take on an established flavor — the perfect collection for an evening on the town. Want to make a more striking statement? Then grab a Dakota glam band and combine it with a Heritage Collection Tucson cowboy hat [as seen below] and be guaranteed the spotlight. Grab a Cardenas Hats Glam Bands separate or get free shipping* when you partner up a band with one of the hats from our Heritage Collection. Both your glam band and your Cardenas Hat will be protected from travel-damage in our custom-branded hat box. Which Glam Collection is right for you? Now is the time to own it! *Free shipping for U.S. customers only. Canada customers enjoy a $12-flat rate shipping.